Looking for a tripod? Choose wisely. 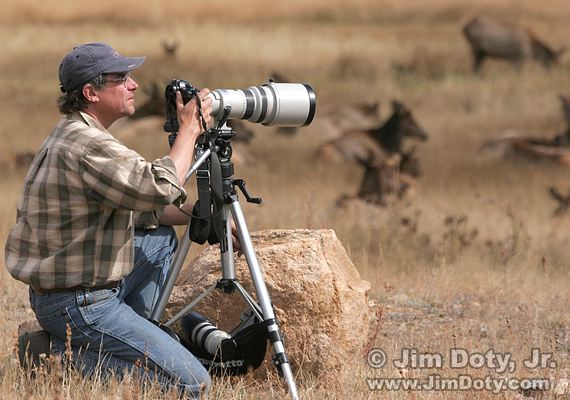 Other than a camera and a good lens, nothing can make a bigger difference in your photography than a good tripod. This is the place to find information, recommended models, and links to more information. It is best to buy your tripod legs and tripod head separately. The best brands are interchangeable so you can match the legs you want with the tripod head that you want, even if they are from different companies. Tripod head are covered in this article. For years I have been recommending Gitzo and Manfrotto/Bogen tripods. (Manfrotto tripods used to be sold in the United States under the Bogen name but they were still made by Manfrotto.) Gitzo and Manfrotto are clear favorites with professional photographers. As long as you get an adequately sturdy model for your camera gear (they do make models that are just too light weight and flimsy for nature and wildlife photography) with the right features, you won’t go wrong with a Manfrotto or Gitzo tripod. For a “normal” size tripod (it comes up to the eye level of a standing adult male) I have been recommending the Bogen/Manfrotto 3021 series and for a smaller and lighter weigh tripod I have been recommending the Bogen/Manfrotto 3001 series. The primary disadvantage to the 3001 series is that you have to bend over a little to use it when standing up. At its maximum height, it doesn’t come up to the eye level of the average adult male. But it is small and light weight which makes it ideal when those are primary considerations. For a normal size tripod with the lighter weight of carbon fiber (and a higher price) I have been recommending the Gitzo Mountaineer series. You can more about these tripods and learn about desirable tripod features by reading Choosing The Best Tripods and Tripod Heads. My recommendations haven’t changed, even though the series and model names have. The Gitzo Mountaineer series (and the related National Geographic Expedition series) is still my favorite series of carbon fiber tripods. The Bogen/Manfrotto 3021 series has been replaced by the Manfrotto 055 series and the Bogen/Manfrotto 3001 series has been replaced by the Manfrotto 190 series. Specific recommendations follow. If you are looking for a smaller, lighter, economical tripod that is still sturdy and very well made, it is tough to beat the Manfrotto 190 series. I prefer the Manfrotto 190XPRO4 and 190XPRO3 because it is so convenient to move the center column to the horizontal position when ygou want to get close to the ground. The XPRO4 costs a little more but collapses to a smaller size which is handy when hauling around gear or traveling by plane. For a normal size tripod in the Manfrotto 055X series, I recommend the Manfrotto 055XPRO3 model which also makes it easier to move the center column to the horizontal position. If you want high quality in a lighter weight, and don’t mind paying a much higher price, I recommend the Gitzo Mountaineer series. I’ve been using the Gitzo Mountaineer G1228 Mk2 since shortly after it was first introduced. Model numbers have changed, but you might find the G1228 Mk2 on the used market. The lighter weight of a Mountaineer carbon tripod tripod is a huge asset when carrying gear into the wilderness. I recommend the Gitzo GT1542 for a good combination of light weight, small size when closed (21.3 inches), reasonable maximum height with the center column down (54.3 inches) and a very workable maximum height with the center column up (62.6 inches). With the head off, it fits into an airline legal carry-on. It’s tall enough to do what I want it to do out in the wilderness. If you prefer a taller tripod, there are other models available like the Gitzo Mountaineer GT3542. An interesting and less expensive alternative to the Gitzo Mountaineer series tripods is the National Geographic Expedition MagFiber series. For the best balance of features for the outdoor photographer, I recommend the National Geographic NGET2. Closed it measures 22.6 inches. The maximum height with the center column down is 53.3 inches. With the center column up, the maximum height is 66.9 inches. It has retractable rubber feet for smooth floors and spikes for outside use. If I went out to buy a tripod today, this would be high on my list. You can find Manfrotto, Gitzo, and National Geographic tripods in this section of my photography store. Really Right Stuff has added carbon fiber tripods to their product line up and they are first rate (and very expensive). At the more economic end of the tripod pricing scale for carbon fiber tripods look at Induro tripods. For the photographer on a tight budget, for many uses you can get by with a smaller tripod like the larger models in the Gorillapod series, like the Gorillapod 5K with the matching Joby 5K ball head. Just make sure you get a size that will handle the weight of your camera and heaviest lens. You can find Gorillapods in this section of my photography store. You can buy these tripods in this section of my photography store. which has direct links to Amazon.com with Amazon’s great prices, efficient ordering system and excellent return policy. My article on the some of the best tripod heads. My article on the best quick release system. 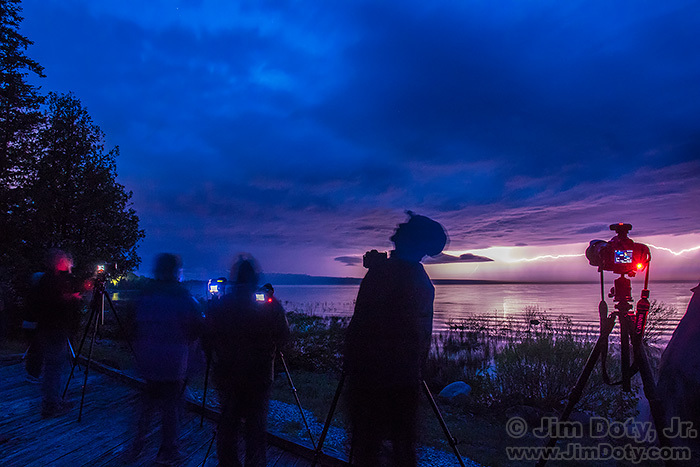 This entry was posted in General, Photo Gear, Tripods by Jim. Bookmark the permalink.